I used to have a weekly ritual when I worked in Brisbane, dropping into Rockinghorse Records (which I’m happy to report is still operating), and picking up the the free music magazines to find out what was going on in the music scene. 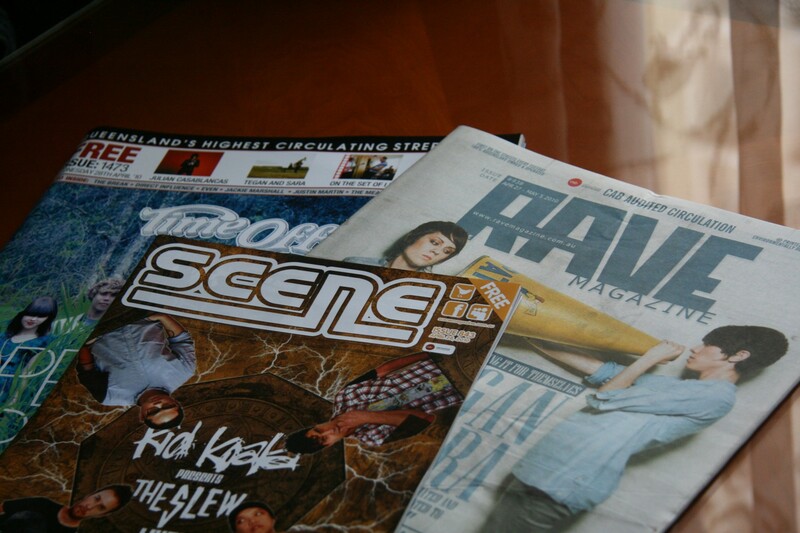 The magazines were a great way to get insights into new bands and music as well as providing all the listings for the live music events coming up. As you can see, all of the magazines seem to be doing really well and prospering and they made for some really good reads in the countless cafes dotting Brisbane. I’ve known Marc and Amanda sine the earliest University days and it was my great pleasure to share, with them, their wedding day on Friday. Things started off ominously with the volcanic ash in Europe threatening to leave the to-be couple stranded in London. Fortunately they ended up leaving even earlier than expected, getting on one of the earliest flights to leave shortly after the government lifted the flight ban. 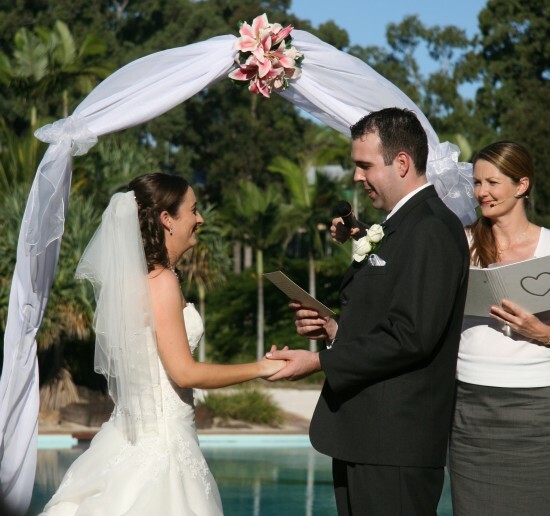 Things continued to look up with a perfect Gold Coast day heralding in the beautiful ceremony at the Hyatt at Sanctuary Cove. Everything ran really smoothly and it was a wonderful ceremony attended by many great family and friends from both sides. Things continued on after the ceremony with a lovely reception and dinner at Arundel’s Country Club where a final farewell saw the newly-weds depart the venue. I count myself particularly lucky knowing what a wonderful couple these two make and will continue to be over the next coming years. Returning to Brisbane and the Coast after so many years – about three and a half since the last time I’d returned – it was great to catch up with so many people. I’ll admit I didn’t exactly leave a lot of time to do so, but I’m really happy to have fit in so many visits in just under a week. This has, of course, meant plenty of eating and drinking that I will no doubt pay back when I return to London. 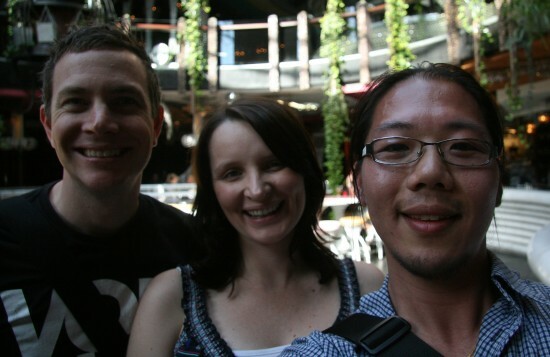 Ben and Michelle were the first people I saw, almost literally as I hopped off the plane in Brisbane. I had a frantic time picking up a sim card – Virgin Mobile had a great deal including 1GB of data before organising to meet these guys around Brisbane. We had a fantastic lunch in the luxuries provided by the Valley’s Cloudland. What an awesome time that was. Great food, beer (fat yak FTW) and awesome company. 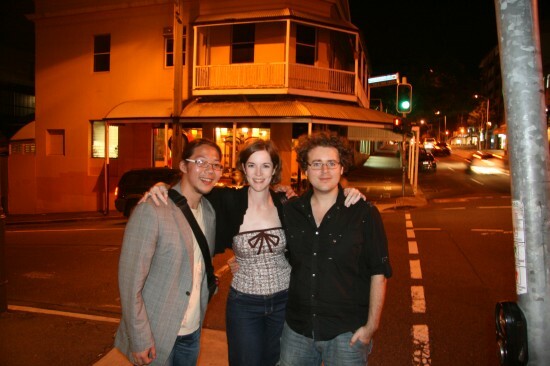 Later that evening, I met previous Brisbane generations of TWers and the current generation of TWers at the Regatta. I caught the City Cat from the city, really enjoying the ride where we stayed until closing. I think we got the hint when they turned they almost turned the lights so low we thought they’d turned it off, as well as the roller doors closing in on the boathouse. I then headed out to Milton, walking along the bikepath, to catch up with Gary, Jen and their toddler, Lila where we had a delightful breakfast and plenty of coffee. Lunchtime I returned to the city to catch up with Mike, Marie and their fresh little girl, Tara where we headed over to Punjabi Palace to relive some good ol’ times. The evening sent me into the valley to catch up with some friends from high school, Kia and Josh where we enjoyed the amazing mixologists at The Bowery Bar. 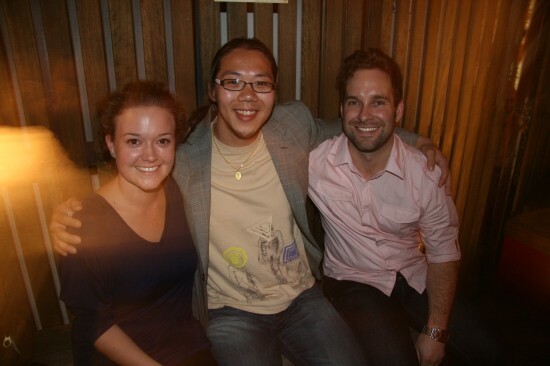 I’d seen Kia when we came over to London last year, but hadn’t seen Josh since I worked in Brisbane. It was really great to catch up. Mel and Ben joined us later in the evening where we enjoyed their company and departed for a late evening meal to the Tibetan Kitchen. I’m amazed they let us in since it was really late for a Brisbane dinner although we got the hint when they started mopping down the floor around us that it was time to go. I saw those guys off to catch one of the late trains before heading back into the city. I had to get up really early, after scheduling a breakfast at The Gunshop Cafe when it first opens at 7am! This meant getting up even earlier so that I could walk across. Here I met Paul, Michelle & Ethan, Hamish, Kate and Amaya and Matt for a delightful relaxed breakfast. It’s so refreshing to occupy a table even with a waiting queue and never feel rushed off the table – leisurely ordering a coffee, tea or juice and ordering really late. Down the coast, I’ve also managed to catch up with Suz, Al and their three kids (whew!) 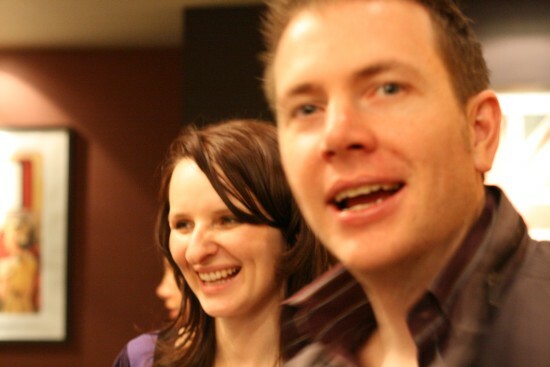 as well as another high school mate, Dave and his, now wife, Bianca (last time they’d just gotten engaged). I finally caught up with lunch with Shannon who’d come and visited London about a year ago. 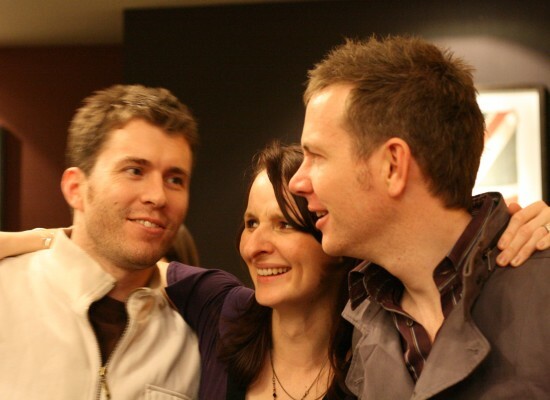 I have Marc and Amanda’s wedding to go to today before I fly out for Melbourne for a week of work. It’s been a bit of a hectic schedule but I’m really glad it’s all worked out in the end. Thanks everyone for making time to meet me. I certainly appreciated the short time I got to spend with everyone. I’ve spent the last week travelling between Bangkok and Brisbane only to return to Australia Marc and Amanda’s wedding on the Gold Coast this Friday. I spent a few days in Brisbane catching up with as many people as I could before heading down to the coast to spend time with the family and before I fly out to Melbourne for work. It’s remarkable to see the differences in Brisbane having not been there for three and a half years now. Some things don’t change. For instance the City Cat ferries are still going on providing links by those lucky enough to live, work or study so close to the river. 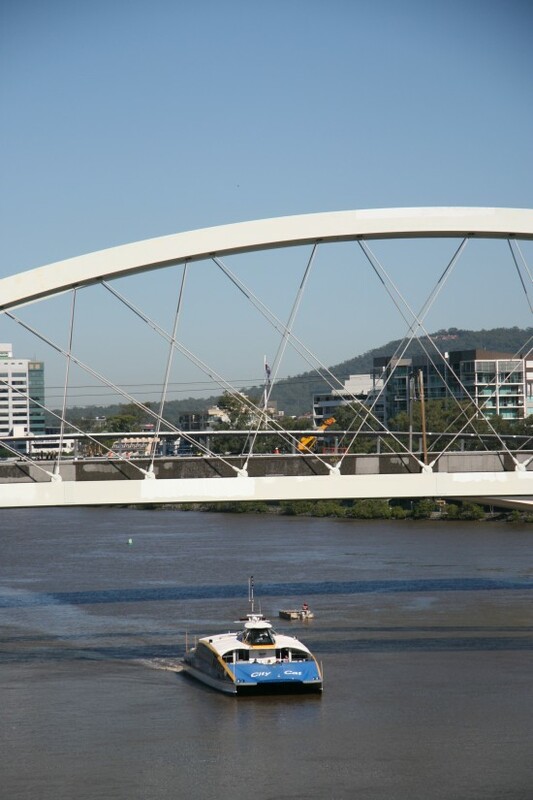 It’s a fantastic way of getting around and Brisbane has done a lot to integrate more of the transport systems using an Oyster-like system to do so. 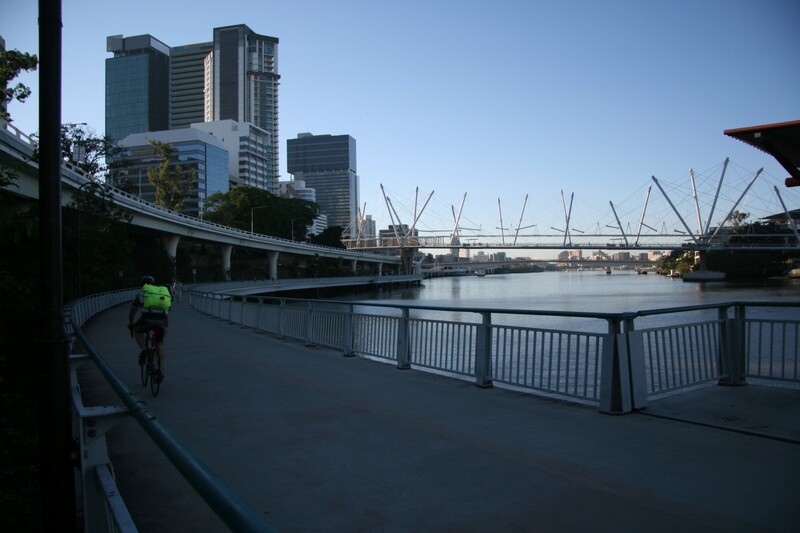 Brisbane’s bikeway are still popular as ever. Watching all the people cycling around made me miss how easy it was to get around, although once again, it’s only those lucky enough to already live on the bike paths – with very little provided for those living in the northern suburbs or those greater away from the Brisbane CBD. 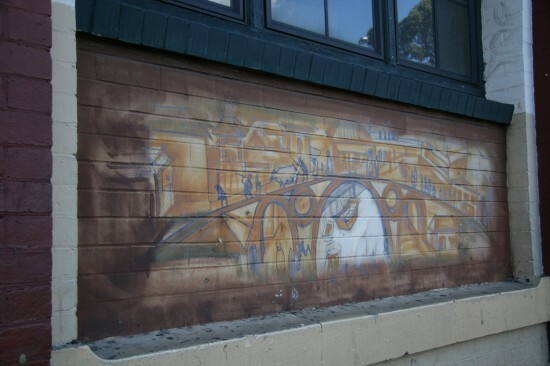 Instead, there are many more bridges (I think they have plenty now!) and a number of tunnels providing ways of bypassing the city centre. I would have liked to have seen more public transport develop, but I’m afraid it seems like most people drive everywhere. 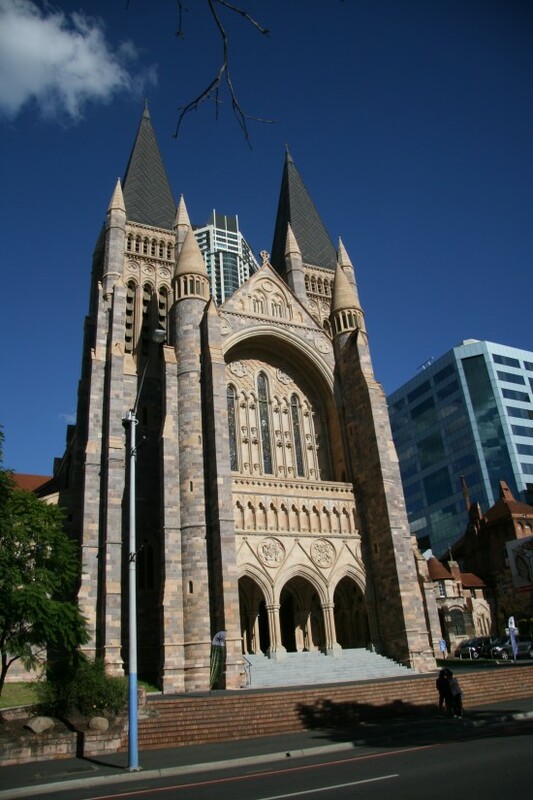 Other things change such as St John’s Cathedral (pictured above) finally finished their building and construction. I think I remember them trying to fund raise lots of money and plenty of construction still to come. Like other things, Brisbane now has plenty more buildings and redeveloped areas including many CBD-based apartment blocks. Even places like Chinatown have been redeveloped, although that area is looking much less Chinatown and much more inner city living. I can see the impact that places like Cathedral Place have had bringing more affluent younger people closer to the city. 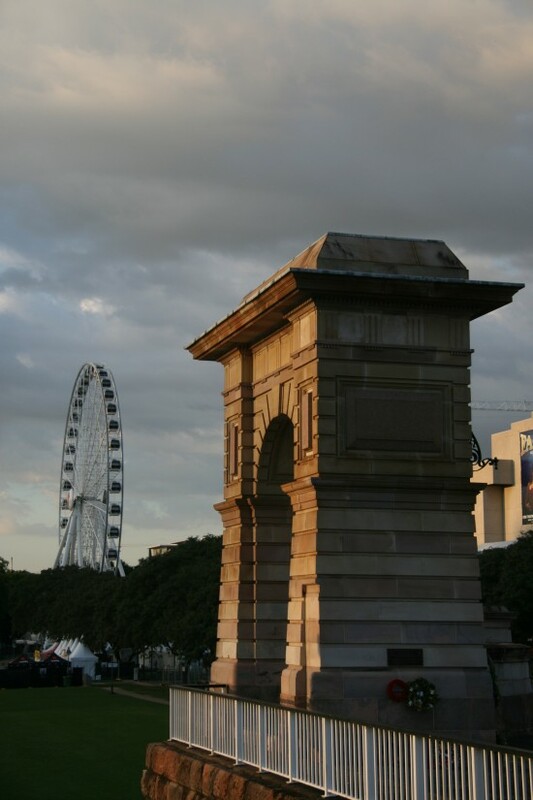 There’s even a Wheel of Brisbane that gives you a fairly decent view of the city during the day, although the same tinting that keeps you from being roasted during the day makes it apparently impossible to see any decent views during the night. Despite being in London for three years, it was only recently that I finally stumbled across an alternative for a special type of baking parchment that I prefer to use back in Australia. Unlike ordinary baking parchment, both of the Glad Bake, or Multix Bake brands offer a unique silicone coating that works much better than ordinary “greaseproof” ones that always somehow end up sticking to whatever you end up using it for. Both Multix and Glad don’t seem to be available in the UK, so your best bet is either the American imported “If you care” brand (available at Earth Natural, 200 Kentish Town Road for £3.20 for 5m), or the Lakeland brand for £4.99 (25m) or £6.99 (45m). I can remember when I first arrived in London, one of the first things I did was attend a surprise birthday party Michelle organised for Ben and, I guess he was quite shocked to see me. It helps you, when moving to a new city, to have people you already know and having Michelle and Ben around is like the solid rock you get as a foundation to build on. I know they’ve had plenty of fun, lots of travel and met lots of new friends. I’m very glad they’ve had a great London experience. I wish them the best for their travels, and though I know I’ll be sad to not be able to catch up with them in London, I know I will see them sometime in the future. Best wishes guys and happy travels! Despite living in my current flat for quite a few months now, it was only today that I stumbled across a Waitrose that’s within a reasonable walking distance. 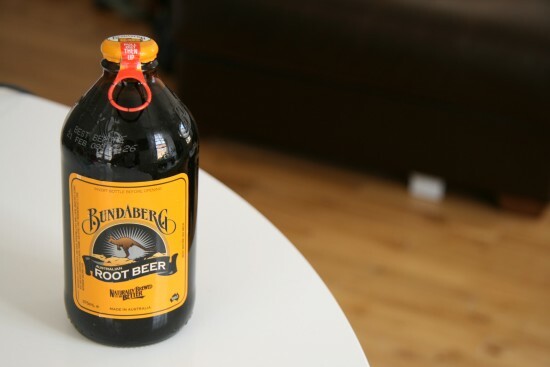 Waitrose, being the most expensive of the supermarkets in the UK, offer very high quality food and vegetables so I shouldn’t have been surprised, (but I was) when I saw they sold Bundaberg Root and Ginger Beer. Not exactly cheap compared to other soft drinks, they were priced better than the £1.40 per bottle the Australia and New Zealand Store in Covent Garden charge. Totally worth it for something to remind me of home.